Garage floors are subject to extreme abuse. For them to retain their looks, you’ll need to carefully consider the materials you work with as well as the type of floor coating you use. Polyaspartic polyurea is the perfect alternative to garage flooring, floor mats and tiles. 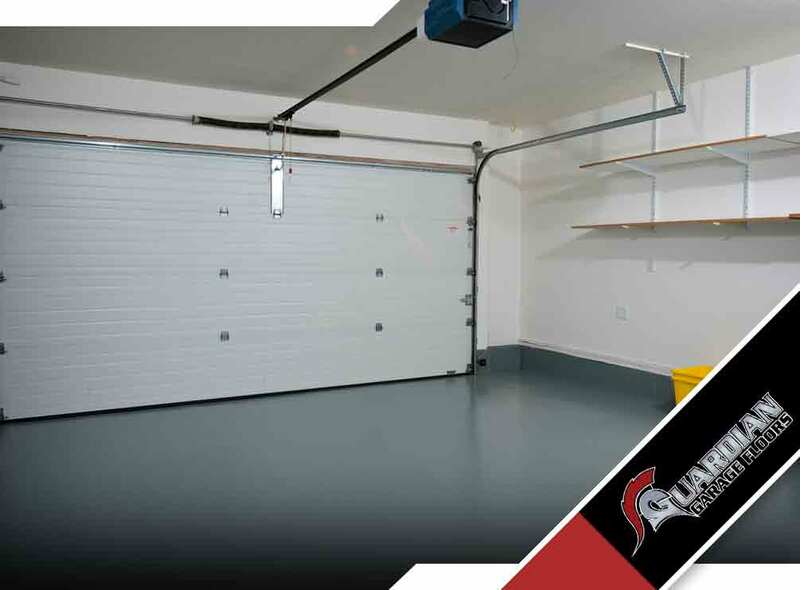 Guardian Garage Floors can transform your dated garage into a showcase of your car, truck, boat or SUV. Here’s why you should seriously consider polyaspartic floor coating. Polyaspartic coatings cure very fast, allowing quicker application and lower labor costs. They begin to cure within minutes, and can be ready for foot traffic in about 1-2 hours. In contrast, the cure time for epoxy is approximately 6 to 8 hours. This material can be set at almost any temperature and bonds well to any concrete surface. As mentioned earlier, it cures to full strength within half an hour and is flexible enough to bridge small cracks. As a result, you can immediately use your garage floors and carry on with your daily routine. Its 100% UV-resistance ensures that polyaspartic coatings won’t change color over time. It is scratch-resistant and chemical and stain-resistant. It has a high heat tolerance, so friction and burnouts are non-issues. It allows for necessary expansion and contraction. It can also withstand high temperatures. Polyaspartic floor coating is environment-friendly. It also gives a crystal clear finish that adds style to the garage. Fixing damage to the coating is easy and doesn’t need total replacement or recoating. The owner can decide the thickness of the coating and its texture–from smooth to orange peel. To enjoy all these benefits, work with Guardian Garage. We specialize in polyurea and polyaspartic garage floors coatings. You can rest easy knowing your garage floor will keep its beauty for life. We serve homeowners in Nashville, TN, or Rome, GA. For one-day garage floors, call us at (615) 278-9900 (TN) or (404) 334-2797 (GA). This entry was posted in garage floors and tagged floor coating, quick curing, superior bonding.